The Narendra Modi led NDA government is into its third year and still continues to surge in popularity. In a recent poll conducted by Pew Research Center, 81% of the 2464 Indians interviewed (in 167 urban and rural settlements at nine Indian cities) held high view of Prime Minister Modi. Not just from general public, a majority of respondents from the opposition parties also held Modi in high esteem. The research also mentioned that two in three Indians are satisfied with the direction of their country, four out of five think that the economy is doing well.I suspect the timing of the research had something to do with the recently conducted surgical strikes of Pakistan army and intelligence backed terror camps. Since it was a covert operation, the figures are all over the place. But amongst the chest beating from Government and Army experts, a 200+ militants dead and multiple camps blown off, do come up frequently. If true, the world must thank the Narendra Modi government for saving 2000+ innocent lives – assuming an average terrorist kills at least ten innocents in his/her useless, troubled, psycho lifetime. Along with my dear friends we actually celebrated and ‘cheers’ to the surgical strikes on 29 Sep 2016. Clockwise – Leon, Kamlesh, Kumar, Bharat, Rahul, Myself and Sandy. It’s sentimental issues like these which surge popularity and save governments. No amount of development, jobs or modernization gets the masses to appreciate as much as a random sentimental issue. The above line explains why Shri Atal Behari Vajpayee or Shri PV Narasimha Rao or Shri Chandrababu Naidu are never given due for their game changing, progressive works. The Modi government is still scoring low on sentimental issues and not really connected to ground reality. I will highlight three stark examples, two of which are hogging the TRP seeking media, one conveniently forgotten. There is a massive hue and cry over banning Pakistani artists from performing in India. The biggest fallout is the upcoming scheduled release Ae Dil Hai Mushkil, whose makers Karan Johar has gone on air pleading to cinema houses, distributors and public to allow this movie to have a good box office run. When a Bollywood star comes out and speaks, be sure he or she is only concerned about box office collections. So I have no views on KJos appeal, neither do I think that banning Pakistani artists will solve terrorism. However the demand from the Pakistani artists to condemn the Uri attacks by Pak based militants wasn’t an unreasonable demand. I too work outside India and if my resident country wants me to co ndemn my home country for any treacherous attack they would have conducted on my resident country, I would do it. Loud and clear. However the Indian government complicates the scenario by recently issuing a statement that they have no problem issuing visas to Pakistani artists. While morally it’s the correct step, it confuses the protesting public on what they are doing vs what the government is doing. Since visas as being granted, are they giving only for tourism purposes? What are the chances of a Pakistani tourist coming over knowing their stars are being driven out of India? So either the government keeps one steady stand of banning everything Pakistani (which is logical) or comes out and issues a statement that ensure Bollywood and Cricket (the two soft targets) aren’t made targets and show must go on. The Anti Pakistan stance, the refusal of China to acknowledge some terror kingpins (I find them too deplorable worth even name mention in my blog) and the general hypothesis that money from Chinese goods flow to Pakistan, who are funding terror groups, got social media to start a ‘Stop using Chinese products’ campaign. 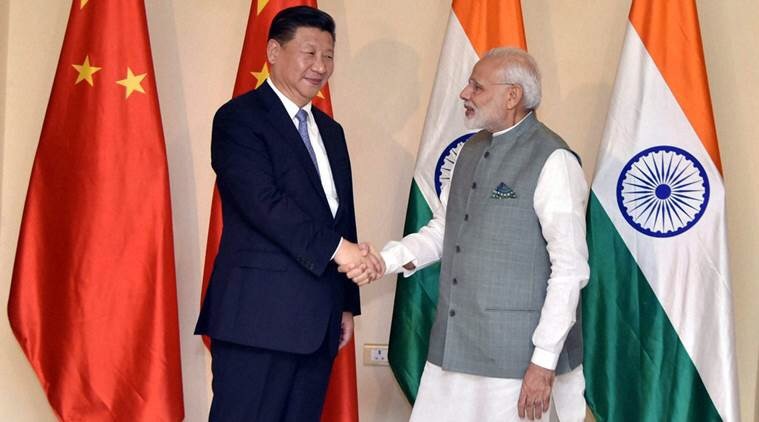 This happening dot at the time, PM Modi was meeting President Xi Jinping and signing multiple agreements. Of course neither the Prime Minister nor any cabinet minister ever urged people to stop using Chinese Products. And true it’s not possible for government to be responsible for each and every social media campaign. But there are ways to streamline the thinking. The fact of the matter is Chinese goods (and Indian workforce) while mocked across are world, are indispensable. Every house has multiple made in China products and every software or customer service center has multiple Indians sitting behind somewhere. Frankly the government can’t do much in curbing a campaign but I hope this campaign is at least being made visible to the Chinese government of what can go wrong for them and further put dent to their current financial crisis. I hope the goverment is atleast doing that. While the government has been discussing Uniform Civil Code and got media all interested, there has been wide scale riots in West Bengal, Uttar Pradesh and Bihar over the last two months. Almost all of them are communal in nature – the flare points ranging from loudspeaker to burial ground in UP and Bihar to festival celebrations in Bengal. Durga Puja has been banned, Maa Durga idols destroyed and Bengalis killed in certain pockets of West Bengal. These are serious issues touching human lives and sadly entire media has stayed silent. The trend is that majority of these riots are happening in rural areas or small towns. The administration struggles to control riots in rural areas (because with fields and grass all over, its to much of open ground to cover) and rural people dying doesn’t fetch much TRP for media. That, all the three states in question are non-BJP ruling states has also made it unimportant for media to cover. But why can’t the government take this opportunity and put the three state governments under the hammer? Where communal riots aren’t happening, there is state or caste based instigation happening. Delhi chief minister Arvind Kejriwal is wooing the Patidars of Gujarat, JNU students are burning Modi’s effigy (it’s part of their curriculum you see! ), while Marathas in Amravati recently took out processions demanding reservations. 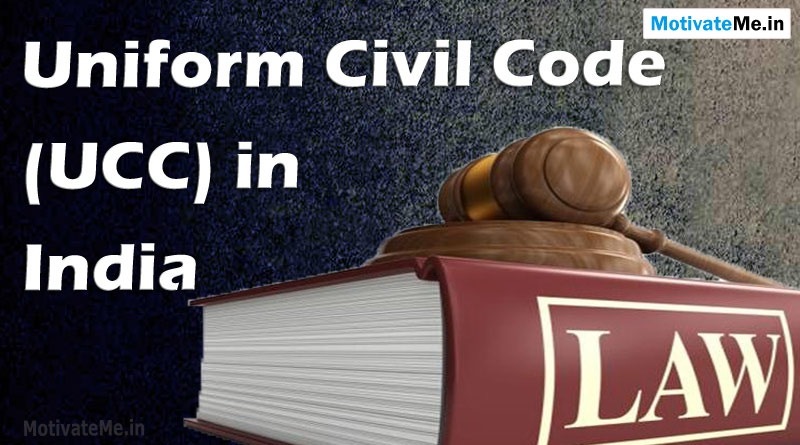 All of which point to one thing, the country needs a Uniform Civil Code. To at least get the feeling of One country One law structure. Only that step, no matter how expensive it will be for the ruling government, will ensure steps like One country One reservation, One country One subsidy, One country One incentive structure etc follow. But we are far away from that. For the time being, the government needs to put a stop at these riots, caste or community based aggression. If the mainstream media isn’t covering it (like they did for Bangalore protests), government can highlight it and make it a major point of discussion and do local government scrutiny publicly. Till the time, mainstream media covers these riots, local media always takes sides, encourage rumours and don’t really help in stopping the riots. Who suffers at the end, commoners. It won’t take much for the home minister to conduct a 15 minute press conference daily on three ‘fire fighting situations’ of the day and give updates. He can choose the three topics and align the press to take briefing accordingly. Atleast let the people suffering feel there is someone caring. The Modi government has a secular, one India, one powerhouse, Incredible India, zero corruption fabric. But that won’t happen in 2016 or 2017. To run his vision the Prime Minister and his cabinet needs to hang around for a decade or more. That won’t be achievable if the connect between the government and masses is as poor, as its now. Interesting analysis , and now that the Modi Government is now in its 3rd year , it is abundantly clear that it must be given a second mandate in 2019 to bring all the infrastructure and social services related projects that it has initiated to completion , including complete sanitation and habitation for all . An area that causes me serious concern is the lack of focus on administrative, police and judicial reforms which is the crying need of the hour and which affects millions of country’s citizens. And then modernisation and expansion of affordable healthcare services which are still at a primitive stage in major parts of the country including interiors, semi urban towns and villages . My opinion is that development must not be at the cost of taking care of religious, social and homeland security related concerns and sentiments . That task must be left to the Party to take care of . Excellent assessment of the situation. Good points all around. Thanks Aravindan I take to keep the topic as objective, data/facts based and unbiased as I can. New into politics writing so your encouragement helps.